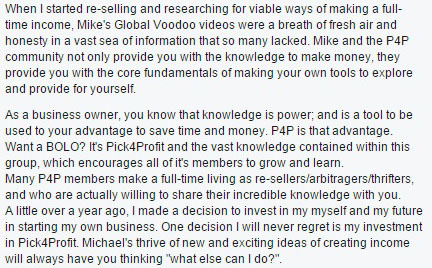 Hello, my name is Mike Franco and I founded Pick4Profit to help you learn the skills you need to make money as a picker/reseller. Whether you are doing this part-time or full-time, you will receive the tools you need to be profitable. I believe anyone can be successful as a reseller as long as you set goals and work hard. Becoming a member is the best way to learn and improve the skills that are most important to you: skills that can help you create a niche, super-charge your career, or go from paper-pusher to entrepreneur. 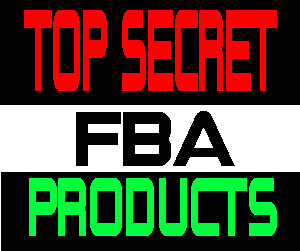 Learn cutting-edge skills that will increase your profit, help you source better items to sell, and put more money in your pocket. 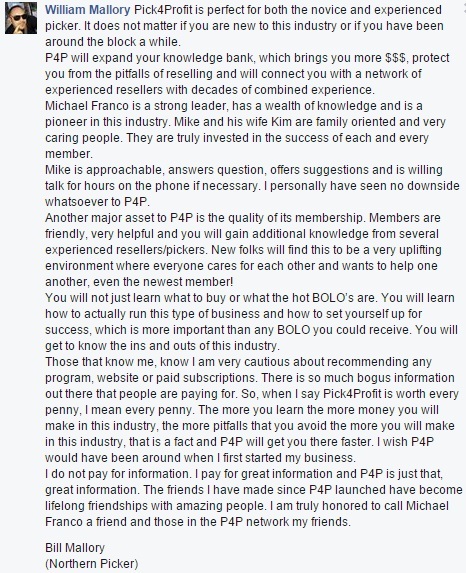 Because I believe education should be accessible to everyone, a Pick4Profit membership is a one of kind education. According to many of our members, “it’s a great resource to learn information that is not easily available and can speed up the learning curve“. Gain knowledge on eBay, Amazon, Storage Auctions, Craigslist, Etsy, Mercari, Buying & Selling locally, Flea Markets, Building your Own Website, Antique Booth, Live Auctions, and more. There’s something for everyone, from basic to advanced levels, with information constantly being updated. With Pick4Profit, you get 24/7 access to over 17 years of reselling experience all at your fingertips. If you have any questions along the way, you have complete access to all resources including calling Mike anytime. 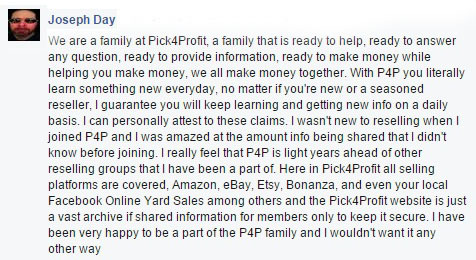 See why thousands have joined this elite training program and join the Pick4Profit family today! By investing in your education, you are able to write off 100% of your payment on your taxes. Contact your CPA for more information.